With more home users adding multimedia devices (any non-PC device that can connect to the Internet, such as TVs, set-top boxes, even iPads) to their home networks, the bandwidth requirements and performance needs are increasing as well. 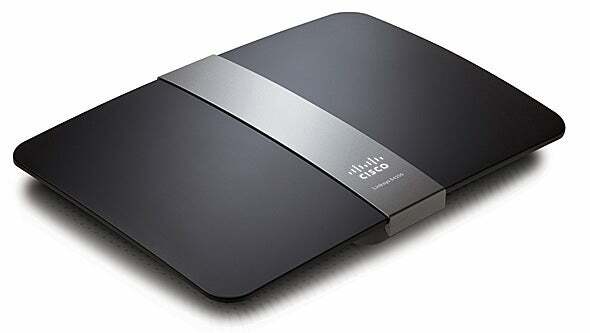 With that in mind, Cisco today announced an update to its Linksys brand of home wireless router, the E4200 Maximum Performance Dual-Band Wireless-N Router. The router is now available for $179.99 at Best Buy locations, BestBuy.com and Linksys’ Web site, with availability at other retailers over the next few months. The E4200 boasts theoretical speeds of up to 450Mbps (in the 5GHz band; in the 2.4GHz range, speeds range up to 300Mbps), offers a 3x3 antenna configuration and four Gigabit Ethernet LAN ports. Cisco added internal and external amplifiers to help boost signal strength across more distance, aiming to help reduce dead spots within the home. A USB port on the E4200 lets users attach external storage device to the router, effectively making it a network-attached storage device, as it becomes a UPnP Media server, allowing users to stream movies, music and photos around the home for viewing/listening on other devices. Cisco also plans to convert the USB port to a “Virtual USB port”, which would let users attach a printer to the router for sharing across the LAN. Other features include support for WPA and WPA2 security, as well as a Stateful Packet Inspection firewall; plans for IPv6 support later in the spring; and Cisco-supported Quality of Service (QoS) functionality that prioritizes video traffic (by default, but customizable). The E4200 will include Cisco Connect software that eases setup and provides additional network management utilities (including parental control and guest access).